A specialized amino acid which is an ion and pH buffer in the heart, skeletal muscles and central nervous system. 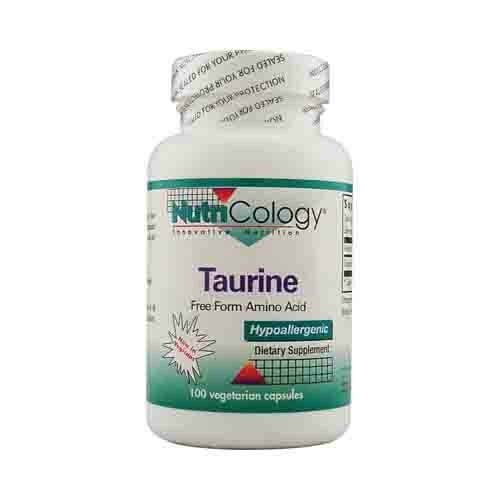 Taurine is also a potent antioxidant and antitoxin, and in these roles is particularly important to the liver and immune system. Taurine is also a "semi-essential" nutrient. This nutrient is of the highest quality and purity obtainable. Free Of All common allergens (antigens), preservatives, diluents and artificial additives. Disclaimer These statements have not been evaluated by the FDA. These products are not intended to diagnose, treat, cure, or prevent any disease.